Heavy lifting straps made out of strong and durable buffalo leather. With the 1,5 inch Leather Straps you will never have to adjust the weights to your grip again. They feature a fixed hand loop with reinforced stitching and added metal studs for a long lasting durability. They are 3,8 cm wide and long enough to wrap multiple times around the bar. Lift heavier weights – build more muscles! 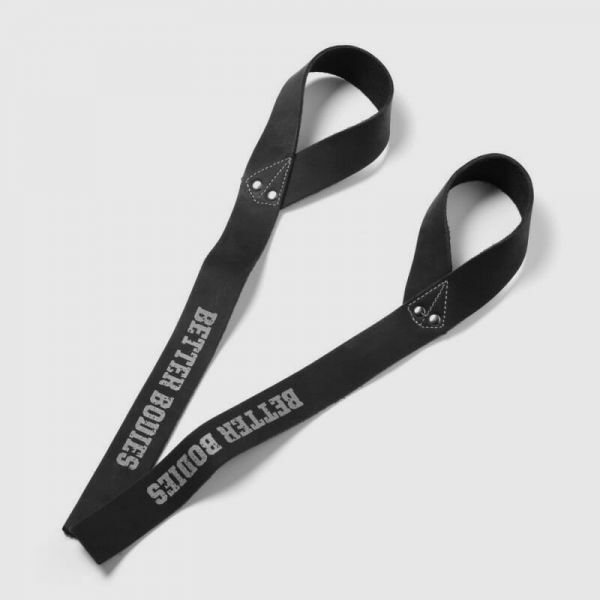 Weiterführende Links zu "Better Bodies - Leder Straps 1,5 inch, schwarz"
Kundenbewertungen für "Better Bodies - Leder Straps 1,5 inch, schwarz"